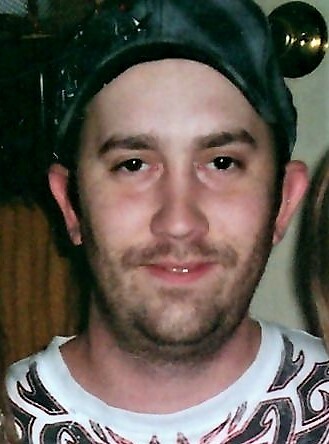 Kevin Dean Collins, 33, of Muskogee, Oklahoma passed away on Friday, April 12, 2019. He was born on April 10, 1986 to Jerry Dean Collins and Cheryl Ann (Pike) Collins in Muskogee, Oklahoma. He married the love of his life, Geralyn Marie Dow, on January 10, 2005, in Muskogee, Oklahoma. They shared 14 years of life and marriage together. Kevin was a handyman and worked as a fence installer and landscaper. His most important job was being a father to Lexie and Megan. He adored his girls and loved raising and watching them grow. Kevin loved riding four-wheelers with his girls, going fishing and building things with wood. He was an avid Dallas Cowboys Fan and liked trucks and playing loud music. He loved his family very much and will be forever missed by everyone who knew and loved him. Kevin was preceded in death by his grandma, Willie Ray; and grandparents, Juanita and Vestal Jordan. He is survived by his loving wife, Geralyn of the home; daughters, Lexie and Megan Collins both of Muskogee, OK; parents Jerry and Cheryl Collins of Muskogee, OK; sister Michelle Johnson and husband Kent of Wagoner, OK; brothers, Brian Pinkston and wife Whitney of Van Buren, AR, Keith Collins, and Casey Collins both of Muskogee, OK; nieces and nephews, Kody Johnson, Skyler Pinkston, Grant Pinkston, Kennedy Pinkston, Brynlee Pinkston, Paige Collins and Rylie Collins; and many other family members and friends. A celebration of Kevin’s life will be 11AM, Tuesday, April 16, 2019 at Cornerstone Funeral Home Chapel with Pastor John Overton officiating. Funeral services are under the direction of Cornerstone Funeral Home & Crematory, 1830 N York St Muskogee, OK 74403. Condolences may be made to the family online at www.cornerstoneofmuskogee.com.